Translations of the Qur'an are interpretations of the scripture of Islam in languages other than Arabic. The Qur'an was originally written in the Arabic language and has been translated into most major African, Asian and European languages. The translation of the Qur'an into modern languages has always been a difficult issue in Islamic theology. Because Muslims revere the Qur'an as miraculous and inimitable (i'jaz al-Qur'an), they argue that the Qur'anic text should not be isolated from its true form to another language or written form, at least not without keeping the Arabic text with it. Furthermore, an Arabic word, like a Hebrew or Aramaic word, may have a range of meanings depending on the context – a feature present in all Semitic languages, when compared to English, Latin, and Romance languages – making an accurate translation even more difficult. According to Islamic theology, the Qur'an is a revelation very specifically in Arabic, and so it should only be recited in Quranic Arabic. 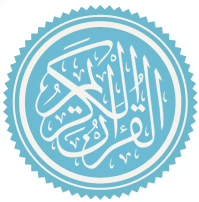 Translations into other languages are necessarily the work of humans and so, according to Muslims, no longer possess the uniquely sacred character of the Arabic original. Since these translations necessarily subtly change the meaning, they are often called "interpretations" or "translation[s] of the meanings" (with "meanings" being ambiguous between the meanings of the various passages and the multiple possible meanings with which each word taken in isolation can be associated, and with the latter connotation amounting to an acknowledgement that the so-called translation is but one possible interpretation and is not claimed to be the full equivalent of the original). For instance, Pickthall called his translation The Meaning of the Glorious Koran rather than simply The Koran. The task of translation of the Qur'an is not an easy one; some native Arab speakers will confirm that some Qur'anic passages are difficult to understand even in the original Arabic script. A part of this is the innate difficulty of any translation; in Arabic, as in other languages, a single word can have a variety of meanings. There is always an element of human judgement involved in understanding and translating a text. This factor is made more complex by the fact that the usage of words has changed a great deal between classical and modern Arabic. As a result, even Qur'anic verses which seem perfectly clear to native Arab speakers accustomed to modern vocabulary and usage may not represent the original meaning of the verse. The original meaning of a Qur'anic passage will also be dependent on the historical circumstances of the prophet Muhammad's life and early community in which it originated. Investigating that context usually requires a detailed knowledge of hadith and sirah, which are themselves vast and complex texts. This introduces an additional element of uncertainty which cannot be eliminated by any linguistic rules of translation. The first translation of the Qur'an was performed by Salman the Persian, who translated Surah al-Fatihah into the Persian language during the early 7th century. According to Islamic tradition contained in the hadith, Emperor Negus of Abyssinia and Byzantine Emperor Heraclius received letters from Muhammad containing verses from the Qur'an. However, during Muhammad's lifetime, no passage from the Qur'an was ever translated into these languages nor any other. The second known translation was into Greek and was used by Nicetas Byzantius, a scholar from Constantinople, in his 'Refutation of Quran' written between 855 and 870. However, we know nothing about who and for what purpose had made this translation. It is however very probable that it was a complete translation. The first fully attested complete translations of the Quran were done between the 10th and 12th centuries in Persian language. The Samanid king, Mansur I (961–976), ordered a group of scholars from Khorasan to translate the Tafsir al-Tabari, originally in Arabic, into Persian. Later in the 11th century, one of the students of Abu Mansur Abdullah al-Ansari wrote a complete tafsir of the Quran in Persian. In the 12th century, Abu Hafs Omar al-Nasafi translated the Quran into Persian. The manuscripts of all three books have survived and have been published several times. Robertus Ketenensis produced the first Latin translation of the Qur'an in 1143. His version was entitled Lex Mahumet pseudoprophete ("The law of Mahomet the false prophet"). The translation was made at the behest of Peter the Venerable, abbot of Cluny, and currently exists in the Bibliothèque de l'Arsenal in Paris. According to modern scholars, the translation tended to "exaggerate harmless text to give it a nasty or licentious sting" and preferred improbable and unpleasant meanings over likely and decent ones. Ketenensis' work was republished in 1543 in three editions by Theodore Bibliander at Basel along with Cluni corpus and other Christian propaganda. All editions contained a preface by Martin Luther. Many later European "translations" of the Qur'an merely translated Ketenensis' Latin version into their own language, as opposed to translating the Qur'an directly from Arabic. As a result, early European translations of the Qur'an were erroneous and distorted. In the early thirteenth century, Mark of Toledo made another, more literal, translation into Latin, which survives in a number of manuscripts. In the fifteenth century, Juan of Segovia produced another translation in collaboration with the Mudejar writer, Isa of Segovia. Only the prologue survives. In the sixteenth century, Juan Gabriel Terrolensis aided Cardenal Eguida da Viterbo in another translation into Latin. In the early seventeenth century, another translated was made, attributed to Cyril Lucaris. Ludovico Marracci (1612–1700), a teacher of the Arabic language at the Sapienza University of Rome and confessor to Pope Innocent XI, issued a second Latin translation in 1698 in Padua. His edition contains the Quran's Arabic text with a Latin translation, annotations to further understanding and – embued by the time's spirit of controversy – an essay titled "Refutation of the Qur'an", where Marracci disproves Islam from the then Catholic point of view. Despite the refutatio's anti-Islamic tendency Marracci's translation is accurate and suitably commented; besides, by quoting many Islamic sources he certainly broadens his time's horizon considerably. Marracci's translation too became the source of other European translations (one in France by Savory, and one in German by Nerreter). These later translations were quite inauthentic, and one even claimed to be published in Mecca in 1165 AH. The first translation in a modern European language was in Castilian or Aragonese by the convert Juan Andrés (or so he claims in his Confusión o Confutación de la secta mahomética y del alcorán) but this translation is lost. A few dozen Quran verses into Castilian are found within the Confusión itself. There were lost translations in Catalan, one of them by Francesc Pons Saclota in 1382, the other appeared in Perpignan in 1384. Another Romance translation was made into Italian, 1547 by Andrea Arrivabene, derived from Ketenensis'. The Italian translation was used to derive the first German translation Salomon Schweigger in 1616 in Nuremberg, which in turn was used to derive the first Dutch translation in 1641. The first French translation came out in 1647, and again in 1775, issued by André du Ryer. The Du Ryer translation also fathered many re-translations, most notably an English version by Alexander Ross in 1649. Ross' version was used to derive several others: a Dutch version by Glazemaker, a German version by Lange. L'Alcoran de Mahomet / translaté d'Arabe François par le Sieur Du Ryer, Sieur de la Garde Malezair., 1647, 1649, 1672, 1683, 1719, 1734, 1770, 1775, by André Du Ryer, was the first French translation. This was followed two centuries later in Paris by the 1840 translation by Kasimirski who was an interpreter for the French Persian legation. Then in the mid-twentieth century a new translation was done by Régis Blachère a French Orientalist followed few years later in 1959 by the first translation by a Muslim into the French Language from the original Arabic . This work of Muhammad Hamidullah continues to be reprinted and published in Paris and Lebanon as it is regarded as the most linguistically accurate of all translation although critics may complain there is some loss of the spirit of the Arabic original. There are four complete translations of the Qur'an in modern Spanish that are commonly available. Julio Cortes translation 'El Coran' is widely available in North America, being published by New York-based Tahrike Tarsile Qur'an publishing house. Ahmed Abboud and Rafael Castellanos, two converts to Islam of Argentine origin, published 'El Sagrado Coran' (El Nilo, Buenos Aires, Argentina, 1953). Kamel Mustafa Hallak fine deluxe hardback print 'El Coran Sagrado' is printed by Maryland-based Amana Publications. Abdel Ghani Melara Navio a Spaniard who converted to Islam in 1979, his 'Traduccion-Comentario Del Noble Coran' was originally published by Darussalam Publications, Riyadh, in December 1997. The King Fahd Printing Complex has their own version of this translation, with editing by Omar Kaddoura and Isa Amer Quevedo. The earliest known translation of the Qur'an in any European language was the Latin works by Robert of Ketton at the behest of the Abbot of Cluny in c. 1143. As Latin was the language of the church it never sought to question what would now be regarded as blatant inaccuracies in this translation which remained the only one until 1649 when the first English language translation was done by Alexander Ross, chaplain to King Charles I, who translated from a French work L'Alcoran de Mahomet by du Ryer. In 1734, George Sale produced the first translation of the Qur'an direct from Arabic into English but reflecting his missionary stance. Since then, there have been English translations by the clergyman John Medows Rodwell in 1861, and Edward Henry Palmer in 1880, both showing in their works a number of mistakes of mistranslation and misinterpretation, which brings into question their primary aim. These were followed by Richard Bell in 1937 and Arthur John Arberry in the 1950s. The Qur'an (1910) by Dr. Mirza Abul Fazl (1865–1956), a native of East Bengal (now Bangladesh), later moved to Allahabad, India. He was the first Muslim to present a translation of the Qur'an into English along with the original Arabic text. Among the contemporary Muslim scholars Dr. Mirza Abul Fazl was a pioneer who took interest in the study of the chronological order of the Qur'an and drew the attention of Muslim scholars to its importance. With the increasing population of English-speaking Muslims around the start of the 20th century, three Muslim translations of the Qur'an into English made their first appearance. The first was Muhammad Ali's 1917 translation, which is composed from an Ahmadiyya perspective, with some small parts being rejected as unorthodox interpretation by vast majority of Muslims. This was followed in 1930 by the English convert to Islam Marmaduke Pickthall's translation, which is literal and therefore regarded as the most accurate. Soon thereafter in 1934, Abdullah Yusuf Ali (from Bohra community) published his translation, featuring copious explanatory annotation – over 6000 notes, generally being around 95% of the text on a given page – to supplement the main text of the translation. This translation has gone through over 30 printings by several different publishing houses, and is one of the most popular amongst English-speaking Muslims, alongside the Pickthall and Saudi-sponsored Hilali-Khan translations. With few new English translations over the 1950–1980 period, these three Muslim translations were to flourish and cement reputations that were to ensure their survival into the 21st century, finding favour among readers often in newly revised updated editions. Orientalist Arthur Arberry's 1955 translation and native Iraqi Jew N. J. Dawood's unorthodox translation in 1956 were to be the only major works to appear in the post-war period. A. J. Arberry's The Koran Interpreted remains the scholarly standard for English translations, and is widely used by academics. The English Translation of Kanzul Iman is called "The Treasure of Faith," which is translated by Farid Ul Haq. It is in simple, easy-to-understand modern-day English. Explanations are given in brackets to avoid ambiguity, provide better understanding and references to similar verses elsewhere. Dr. Syed Abdul Latif's translation published in 1967, regarded highly by some (he was a professor of English at Osmania University, Hyderabad), was nevertheless short-lived due to criticism of his foregoing accuracy for the price of fluency. The Message of the Qur'an: Presented in Perspective (1974) was published by Dr. Hashim Amir Ali. He translated the Qur'an into English and arranged it according to chronological order. Dr. Hashim Amir-Ali (1903-c. 1987) was a native of Salar Jung, Hyderabad, Deccan. In 1938 he came under the influence of Dr. Mirza Abul Fazl Allahabadi, and took a deep interest in the study of the Qur'an and was aware of the significance of the chronological order of the passages contained in it. A Jewish convert to Islam, Muhammad Asad's monumental work The Message of The Qur'an made its appearance for the first time in 1980. Professor Ahmed Ali's Al-Qur'an: A Contemporary Translation (Akrash Publishing, Karachi, 1984, Reprinted by Oxford University Press, Delhi, 1987; Princeton University Press, New Jersey, 1988, with 9th reprinting 2001). Fazlur Rahman Malik of the University of Chicago writes, "It brings out the original rhythms of the Qur'anic language and the cadences. It also departs from traditional translations in that it gives more refined and differentiated shades of important concepts". According to Francis Edward Peters of New York University, "Ahmed Ali's work is clear, direct, and elegant – a combination of stylistic virtues almost never found in translations of the Qur'an. His is the best I have read". At the cusp of the 1980s, the 1973 oil crisis, the Iranian Revolution, the Nation of Islam and a new wave of cold-war generated Muslim immigrants to Europe and North America brought Islam squarely into the public limelight for the first time in Western Europe and North America. This resulted in a wave of translations as Western publishers tried to capitalize on the new demand for English translations of the Qur'an. Oxford University Press and Penguin Books were all to release editions at this time, as did indeed the Saudi Government, which came out with its own re-tooled version of the original Yusuf Ali translation. Canadian Muslim Professor T. B. Irving's 'modern English' translation (1985) was a major Muslim effort during that time. Qur'an: The Final Testament, Islamic Productions, Tucson, Arizona, (1989) was published by Rashad Khalifa (رشاد خليفة; 19 November 1935 – 31 January 1990) Khalifa wrote that he was a messenger (rasool) of God and that the Archangel Gabriel 'most assertively' told him that chapter 36, verse 3, of the Quran, 'specifically' referred to him. He is referred to as God's Messenger of the Covenant, by his followers. He wrote that the Quran contains a mathematical structure based on the number 19. He made the controversial claim that the last two verses of chapter nine in the Quran were not canonical, telling his followers to reject them. His reasoning was that the verses, disrupted an otherwise flawless nineteen-based pattern and were sacrilegious inasmuch as they appeared to endorse worship of Mohammed. Khalifa's research received little attention in the West. In 1980, Martin Gardner mentioned it in Scientific American. Gardner later wrote a more extensive and critical review of Khalifa and his work. The arrival of the 1990s ushered in the phenomenon of an extensive English-speaking Muslim population well-settled in Western Europe and North America. As a result, several major Muslim translations emerged to meet the ensuing demand. One of them was published in 1990, and it is by the first woman to translate the Quran into English, Amatul Rahman Omar, together with her husband, Abdul Mannan Omar. In 1991 appeared an English translation under the title: The Clarion Call Of The Eternal Qur-aan, by Muhammad Khalilur Rahman (b. 1906–1988), Dhaka, Bangladesh. He was the eldest son of Shamsul Ulama Moulana Muhammad Ishaque of Burdwan, West Bengal, India, – a former lecturer of Dhaka University. In 1996 the Saudi government financed a new translation "the Hilali-Khan Qur'an" which was distributed free worldwide by the Saudi government as it was in line with their particular interpretation . In 1999 a fresh translation of the Qur'an into English entitled The Noble Qur’an – A New Rendering of its Meaning in English by Abdalhaqq and Aisha Bewley (who is an American) was published by Bookwork, with revised editions being published in 2005  and 2011. The Qur'an in Persian and English (Bilingual Edition, 2001) features an English translation by the Iranian poet and author Tahere Saffarzadeh. This was the third translation of the Qur'an into English by a woman, after Amatul Rahman Omar, and Aisha Bewley – and the first bilingual translation of the Qur'an. In 2003, the English translation of the 8-volume Maariful Quran was completed and the translation of the Qur'aan used for it was newly done by Mufti Muhammad Taqi Usmani in collaboration with his brother Mawlana Wali Raazi Usmani and his teachers, Professors Hasan Askari and Muhammad Shameem. In 2004 a new translation of the Qur'an by Muhammad Abdel-Haleem was also published, with revised editions being published in 2005  and 2008. In 2007, Quran: a Reformist Translation by Edip Yuksel, Layth Saleh al-Shaiban, and Martha Schulte-Nafeh, was published. In 2007, The Meanings of the Noble Qur'aan with Explanatory Notes by Mufti Muhammad Taqi Usmani was published. It has been published in 2 volumes at first and later, in a single volume. It is the first single-handed English translation of the Qur'aan done by an authentic Sunni Islaamic scholar who is also one of the greatest scholars living today, if not the greatest. He also translated the Qur'aan in simple Urdu, making him a translator of the Qur'aan in dual languages. In 2007 The Sublime Qur'an appeared by Laleh Bakhtiar; it is the second translation of the Qur'an by an American woman. In 2009 Maulana Wahiduddin Khan translated the Quran in English, which was published by Goodword Books entitled, The Quran: Translation and Commentary with Parallel Arabic Text. This translation is considered as the most easy to understand due to simple and modern English. The pocket size version of this translation with only English text is widely distributed as part of dawah work. A rhymed verse edition of the entire Qur'an rendered in English by Thomas McElwain in 2010 includes rhymed commentary under the hardback title The Beloved and I, Volume Five, and the paperback title The Beloved and I: Contemplations on the Qur'an. In 2015 Dr. Mustafa Khattab of Al-Azhar University completed The Clear Quran: A Thematic English Translation, after three years of collaboration with a team of scholars, editors, and proof-readers. Noted for its clarity, accuracy, and flow, this work is believed to be the first English translation done in Canada. First Urdu translation of Quran was done by Shah Abdul Qadir, who was the son of Shah Abdul Aziz Dehlawi. One of the authentic translation of Quran in Urdu was done by Imam Ahmed Rida Khan and was named Kanzul Iman. Molana Ashiq Elahi Merathi also translated the Qur'an in Urdu. Tafseer e Merathi is a renowned translation of Quran along with Tafseer and Shan e Nazool in Urdu by Molana Ashiq Elahi Merathi, as well as Irfan-ul-Quran a translation by Muhammad Tahir-ul-Qadri also an Urdu translation of the Quran. [Mutalaeh Quran مطالعہ قرآن] by ABDULLAH, 2014, is an Urdu Translation . Girish Chandra Sen, a Brahmo Samaj missionary, was the first person to produce a complete translation of the Qur'an into Bangla language in 1886. although a currently known to be incomplete translation was made by Amiruddin Basunia in 1808. Abbas Ali of Candipur West Bengal was the first Muslim who translated the entire Qur'an into Bangla. It is also said that one Moulana Mohammad Noymuddin of Tangail translated 1st 10 chapters of Quran in Bangla. Besides many translated Quranic exegesis are available in Bengali language. Maulana Muhiuddin Khan was also a known Bangladeshi who translated the Maariful Quran into Bangla language. Kanzul Iman was also translated into the Hindi, followed by Bengali and Gujarati. Elmalılı Muhammed Hamdi Yazır worked on Qur'anic exegesis in Maturidi context, and published his Hakk Dīni Kur'an Dili in Turkish in 1935. 1935 print of Hakk Dīni Kur'an Dili. A Qur'anic exegesis and translation of Qur'an in Turkish ordered by Atatürk. In 1999, the Turkish translation of the Quran, MESAJ by Edip Yuksel was published, about 7 years after the publication of his book, Türkçe Kuran Çevirilerindeki Hatlara (Errors in Turkish Translations of the Quran). The translation does not consider hadith and sectarian jurisprudence as authority in understanding the Quran. It differs greatly from Sunni and Shia tradition in translation of numerous crucial words and verses. Edip Yuksel is perhaps the first person in history who has translated the Quran into two languages: Turkish and English. The first translation into Japanese was done by Sakamoto Ken-ichi in 1920. Sakamoto worked from Rodwell's English translation. Takahashi Goro, Bunpachiro (Ahmad) Ariga and Mizuho Yamaguchi produced Japan's second translation in 1938. The first translation from the Arabic was done by Toshihiko Izutsu in 1945. In 1950, another translation appeared by Shūmei Ōkawa (1886–1957), who had been charged with war-crimes after the World War II on account of his anti-Western sympathies. Other translations have appeared more recently by Ban Yasunari and Osamu Ikeda in 1970 and by Umar Ryoichi Mita in 1972. It is claimed that Yusuf Ma Dexin (1794–1874) is the first translator of the Koran into Chinese. However, the first complete translations into Chinese did not appear until 1927, although Islam had been present in China since the Tang dynasty (618–907). Wang Jingzhai was one of the first Chinese Muslims to translate the Koran. His translation, the Gǔlánjīng yìjiě, appeared in either 1927 or 1932, with new revised versions being issued in 1943 and 1946. The translation by Lǐ Tiězhēng, a non-Muslim, was not from the original Arabic, but from John Medows Rodwell's English via Sakamoto Ken-ichi's Japanese. A second non-Muslim translation appeared in 1931, edited by Jī Juémí. Other translations appeared in 1943, by Liú Jǐnbiāo, and 1947, by Yáng Zhòngmíng. The most popular version today is the Gǔlánjīng, translated by Mǎ Jiān, parts of which appeared between 1949 and 1951, with the full edition being published posthumously only in 1981. Tóng Dàozhāng, a Muslim Chinese American, produced a modern translation, entitled Gǔlánjīng, in 1989. The most recent translation appeared in Taibei in 1996, the Qīngzhēn xīliú – Gǔlánjīng xīnyì, translated by Shěn Xiázhǔn, but it has not found favour with Muslims. The Koran has also been translated to Acehnese, Buginese, Gorontalo, Javanese, Sundanese, and Indonesian of Indonesia, the most populous Muslim country in the world. Translation into Acehnese was done by Mahijiddin Yusuf in 1995; into Buginese by Daude Ismaile and Nuh Daeng Manompo in 1982; into Gorontalo by Lukman Katili in 2008; into Javanese by Ngarpah (1913), Kyai Bisyri Mustafa Rembang (1964), and K. H. R. Muhamad Adnan; in Sundanese by A.A. Dallan, H. Qamaruddin Shaleh, Jus Rusamsi in 1965; and in Indonesian at least in three versions: A Dt. Madjoindo, H.M Kasim Bakery, Imam M. Nur Idris, A. Hassan, Mahmud Yunus, H.S. Fachruddin, H., Hamidy (all in the 1960s), Mohammad Diponegoro, Bachtiar Surin (all in the 1970s), and Departemen Agama Republik Indonesia (Indonesian Department of Religious Affair). William Shellabear (1862–1948) a British scholar and missionary in Malaysia, after translating the Bible into the Malay language began a translation of the Qur'an, but died in 1948 without finishing it. In 1982, Abdul Rakman H. Bruce translated the quran in Tagalog which is locally known as "Ang Banal na Kuran". Translation of the Qur'an to Swahili by Sheikh Ali Muhsin al-Barwani. Translation of the Qur'an to Hausa by Sheikh Muhamud Gumi. Translation of the Qur'an to Yoruba by Sheikh Adam Abdullah Al-Ilory. Translation of the Qur'an to Dagbanli by Sheikh M. Baba Gbetobu. After the fall of the Shah, Ayatollah Khomeini of Iran called on Muslims to learn Esperanto. Shortly thereafter, an official Esperanto translation of the Qur'an was produced by the state. Allama Muztar Abbasi also translated the Quran into Esperanto and wrote a biography of Muhammad and several other books in Esperanto and Urdu. In 1970, Professor Italo Chiussi, of the Ahmadiyya sect, translated the Quran into Esperanto. ^ a b c d e f g h i Fatani, Afnan (2006). "Translation and the Qur'an". In Leaman, Oliver (ed.). The Qur'an: an encyclopaedia. Great Britain: Routledge. pp. 657–669. ^ a b Ruthven, Malise (2006). Islam in the World. Granta. p. 90. ISBN 978-1-86207-906-9. ^ An-Nawawi, Al-Majmu', (Cairo, Matbacat at-'Tadamun n.d.), 380. ^ Christian Høgel, "An early anonymous Greek translation of the Qur'an. The fragments from Niketas Byzantios' Refutatio and the anonymous Abjuratio", Collectanea Christiana Orientalia 7 (2010), pp. 65–119; Kees Versteegh, "Greek translations of the Quran in Christian polemics (9th century)", Zeitschrift der Deutschen morgenländischen Gesellschaft 141 (1991); Astérios Argyriou, "Perception de l'Islam et traductions du Coran dans le monde byzantin grec", Byzantion 75 (2005). ^ Borrmans, Maurice (2002). "Ludovico Marracci et sa traduction latine du Coran" [Ludovico Marracci and its Latin translation of the Qur'ân]. Islamochristiana (in French) (28): 73–86. INIST:14639389. ^ "El català, primera llengua europea a la qual va ser traduït l'Alcorà" (in Catalan). Archived from the original on 28 May 2018. Retrieved 27 May 2018. ^ a b Mohammed, Khaleel (1 March 2005). "Assessing English Translations of the Qur'an". Middle East Quarterly. Archived from the original on 27 June 2017. Retrieved 23 June 2017. ^ "God or Allah in Islam (Submission in English),Islam (Submission). Your best source for Islam on the Internet. Happiness is submission to God – Allah, God, Islam, Muslims, Moslems, Arabic, Farsi, Urdu, Indonesia, Arabia, Mecca, USA-Prophet Muhammed's Last S". Archived from the original on 24 July 2011. Retrieved 23 June 2017. ^ Gardner, Martin (1980), Mathematical Games, Scientific American, September 1980, pp16–20. ^ Molloy, Rebecca B. (2001). "The Noble Qur'ān: A New Rendering of its Meaning in English, translated by BewleyAbdallhaqq and BewleyAisha. 651 pages, glossary. Norwich, UK: Bookwork, 1999. ISBN 1-874216-36-3". Review of Middle East Studies. 35 (1): 134. doi:10.1017/S0026318400042188. Archived from the original on 20 December 2016. Retrieved 23 June 2017 – via Cambridge Core. ^ The Noble Qur'an: A New Rendering of Its Meaning in English. Bookwork. 23 June 2017. ISBN 978-0953863938. ^ "The Noble Qur'an – a New Rendering of its Meaning in English – Diwan Press". www.diwanpress.com. Archived from the original on 1 July 2017. Retrieved 23 June 2017. ^ a b Quran (2007). The Sublime Quran: Laleh Bakhtiar: 9781567447507: Amazon.com: Books. ISBN 978-1567447507. ^ "0192831933 – Oxford University Press, UK – The Qur'an". Archived from the original on 24 August 2017. Retrieved 23 June 2017. ^ The Qur'an. OUP Oxford. 17 April 2008. ASIN 0199535957. ^ "A new look at a holy text – tribunedigital-chicagotribune". Articles.chicagotribune.com. 10 April 2007. Archived from the original on 18 May 2015. Retrieved 10 May 2015. ^ Useem, Andrea (18 April 2007). "Laleh Bakhtiar: An American Woman Translates the Qur'an". Publishersweekly.com. Retrieved 10 May 2015. ^ Aslan, Reza (20 November 2008). "How To Read the Quran". Slate. Archived from the original on 28 July 2011. Retrieved 8 July 2011. ^ "Quran in English - Division by Division English Interpreation of the Qur'an in the Order of Revelation". www.quraninenglish.net. Archived from the original on 9 January 2019. Retrieved 18 January 2019. ^ "The Majestic Quran". Archived from the original on 21 June 2018. Retrieved 18 January 2019. ^ Bureau, Minhaj Internet. "Urdu Quran اردو قرآن - عرفان القرآن : قرآنِ مجید کا عام فہم اور جدید ترین پہلا آن لائن يونيکوڈ اُردو ترجمہ - Irfan-ul-Quran, Read Listen Search Download & Buy". www.irfan-ul-quran.com. Archived from the original on 29 June 2017. Retrieved 23 June 2017. ^ "MY QURAN PAK". sites.google.com. Archived from the original on 17 September 2016. Retrieved 23 June 2017. ^ Dey, Amit (7 June 2012). "BENGALI TRANSLATION OF THE QURAN AND THE IMPACT OF PRINT CULTURE ON MUSLIM SOCIETY IN THE NINETEENTH CENTURY" (PDF). University of Calcutta, Department of History: 8–18. Retrieved 24 January 2016. ^ Hafez Ahmed. "Al Quran Academy to observe 200 years of translating Holy Quran into Bengali". Archived from the original on 4 November 2013. Retrieved 23 June 2017. ^ Zayed, Tareq M. (1 January 1970). "The Role Of Reading Motivation And Interest In Reading Engagement Of Quranic Exegesis Readers | Tareq M Zayed". Academia.edu. Retrieved 23 June 2017. ^ Kalamu Rahman | Barkati Publishers; By Sayyad Aale Rasool Hasnain Miya Nazmi. 30 September 2015. ^ "Hakkı Yılmaz - İşte Kuran". www.istekuran.net. Archived from the original on 25 March 2018. Retrieved 18 January 2019. ^ "The Qu'ran and its translators". Archived from the original on 21 June 2012. ^ ""Chinese Translations of the Qur'ān: a Close Reading of Selected Passages", by Ivo Spira, MA thesis, Oslo University, 2005" (PDF). Archived from the original (PDF) on 10 September 2012. ^ "Al-Quran Dan Terjemahnya" (PDF). Alagr.com. Archived (PDF) from the original on 7 July 2011. Retrieved 23 June 2017. ^ Hunt, Robert (2002). "The Legacy of William Shellabear". International Bulletin of Missionary Research. 26 (1): 28–31. doi:10.1177/239693930202600108. Archived from the original on 2 July 2013. ^ Abdul Rakman Bruce. "Ang Banal na Kuran". Archived from the original on 22 August 2018. Retrieved 14 January 2019. ^ "First Dagbani Version of Holy Quran Launched". GhanaWeb. 19 December 2008. Archived from the original on 27 September 2016. Retrieved 25 September 2016. Ali, Muhammad Mohar (2004). The Qur'an and the Orientalists. Jamiat Ihyaa Minhaaj al-Sunnah (JIMAS), Ipswich, United Kingdom. ISBN 0954036972. Tibawi, A. L. (1962). "Is the Qur'ān Translatable?". The Muslim World. 52 (1): 4–16. doi:10.1111/j.1478-1913.1962.tb02588.x. Pearson, J.D., ‟Bibliography of Translations of the Qur'ān into European Languages", in: A.F.L. Beeston et al. (eds), Arabic Literature to the End of the Umayyad Period (Cambridge: Cambridge University Press, 1983), pp. 502–520. Wilson, M. Brett (2009). "The First Translations of the Qurʾan in Modern Turkey (1924–38)". International Journal of Middle East Studies. 41 (3): 419–35. doi:10.1017/S0020743809091132. Bein, Amit (2011). Ottoman Ulema, Turkish Republic Agents of Change and Guardians of Tradition. Stanford University Press. ISBN 978-0-8047-7311-9. Fitzpatrick, Coeli; Walker, Adam (2014). Muhammad in History, Thought, and Culture An Encyclopedia of the Prophet of God. Abc-Clio Incorporated. pp. 510–512. ISBN 978-1-61069-177-2.